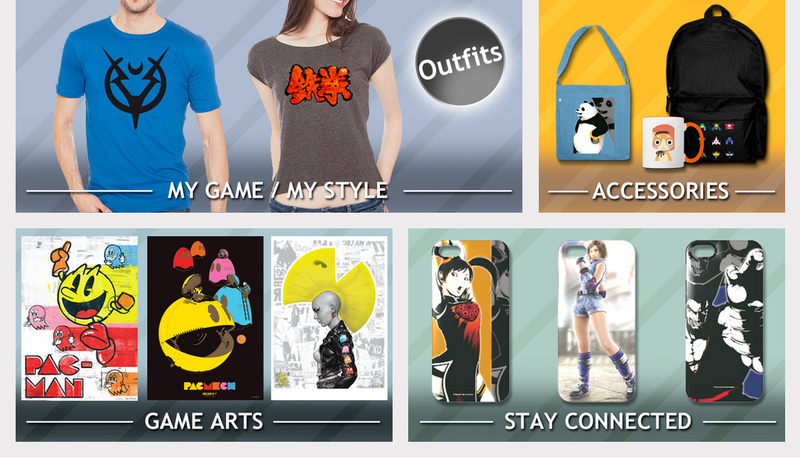 Bandai Namco Entertainment Europe has announced the opening of its Official Online Store, selling merchandise from video game series including Tekken, Pac-Man, and Tales of. Products available include t-shirts, hoodies, posters, coffee mags, phone cases, and more. To celebrate the launch, the store is offering free shipping from December 2-7. Customers who wish to redeem this offer can do so by entering the code “FREE@BANDAI” upon checkout. Merchandise is exclusive to the store, and includes a special set created to celebrate the 35th anniversary of Pac-Man. Bandai Namco is publishing several upcoming games scheduled for release next year, including the anticipated Dark Souls III, Naruto Shippuden: Ultimate Ninja Storm 4, Pokken Tournament, and Tales of Berseria. Whimsical New Items in the Gem Store! Tagged Bandai, Europe, Merch, Namco, Opens, Store, ‘Official.